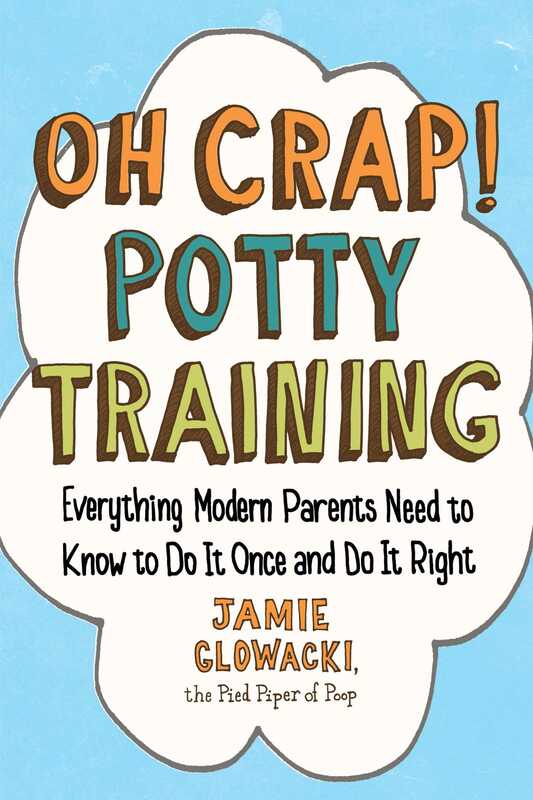 First off, although I’ll admit that I really like the word crap, I tend to use pee and poop with my own child, and those are the words I’ll use in this book. I think they are pretty commonplace and fit the bill nicely. However, don’t feel you have to use them. You should decide on your own family’s lingo. Any words will do, as long as there is consistency. One thing I’ll be talking about quite a lot is mixed messages. We send our children many mixed messages about potty training, and I think that’s one of the reasons it’s become such a huge ordeal. The words you use are just one example. I don’t care if you choose to say poop, crap, she-she, urine, BM, peeps, caca, doody, lala, foofoo . . . whatever. Just be consistent. Bear in mind, this word will be said very loudly in church, at the library, in the market. Be sure it’s a word you are comfortable with at high volume and frequency. I’ve worked with parents who say “caca” at home and then try to get away with “BM” in public. The toddler mind doesn’t work that way. Don’t confuse the issue. Regarding the term “potty training,” I know some parents object to the term. I’ve heard it said that training is for animals, not children. Let’s just agree that “training” is synonymous with “learning” for our purposes. After all, even as an adult, you “train” in something in order to learn it. As an analogy, when you get a new job, you receive training. Someone already skilled guides you through your new duties. On your first day of work, does your boss sit and wait for your cues that you’re ready? Ready for what? When you make a mistake, does your boss get distraught and fire you? No. Most likely, you are clearly told what is expected of you and shown how to do it. When you make mistakes, your boss gently tells you what you did wrong and how do it right. After a certain amount of time, you’re expected to have mastered your new duties. There you go—that’s potty training. I also like to compare potty training to learning to walk. I’ve always been amazed by kids learning to walk. Let’s face it—they get around much faster by crawling. So why take on this new skill? Because it’s in our nature as humans to walk upright. It’s also in our nature to pee and poop in designated areas. Even cultures that don’t have plumbing have definitive places for excrement. Think back to when your child learned to walk. You probably watched her constantly to make sure she didn’t whack her head on something. You put her between your legs and held her hands and helped her along. You cheered her on and smothered her with kisses. You showed off her new skill to anyone who set foot in your house. When she fell and cried, you picked her up, dusted her off, and encouraged her to try again. Did you give her stickers or M&Ms for learning to walk? Did you beg and plead and ask her a million times a day if she felt like walking? Did you get all freaked out? Did you consult everyone you knew and research the topic endlessly? Probably not. You knew your child should start walking around twelve months, give or take a couple of months on either side. You might have bought a little push toy to help the process. You would have been concerned if she were eighteen months old and not showing any sign of walking. Generally speaking, you probably used your parental intuition and your knowledge of your child to help her learn how to walk. Ideally, you’ll have a similar philosophy toward potty training. One thing I’ve always found bizarre is that parents assume that potty training is just something the child is going to pick up. Why would they? They might realize it’s in their future, but so is driving. The need to pee and poop is a primal one; learning to put it somewhere specific is social, and social behavior must be taught. I like to remind parents that kids don’t know the beauty of potty training. The only thing they know is the comfort and safety of wearing a diaper. This is completely uncharted territory. Since coming out of the womb, all they’ve known is a snug diaper. Seriously: some babies have a diaper on before their first nursing! It’s like the ultimate security blanket. This is especially important to remember if you’re met with resistance. Not wearing a diaper can feel strange, uncomfortable, and unsafe to a small child. It’s your job to guide your child through this new territory. After all, using the potty is a skill you’ve already mastered. Well, let’s hope so anyway. So let’s get down to the nitty-gritty. The number one question I’m most asked is “What’s the trick?” Are you ready for the trick? The Big Trick of Potty Training? Memorize this. Study it intently. Are you sure you’re ready? Let me repeat that. You, you, you, you, you, you. YOU are the parent. YOU provide safety and boundaries for your child. YOU are the teacher. YOU provide a loving environment where it’s safe to grow. Again, YOU provide the boundaries. It is your job to nurture your child to their fullest potential. It’s your job to instill dignity and self-respect. More than just you, it’s your commitment. This is a big deal, your commitment. Potty training is not rocket science by any means. I can tell you what to do until I’m blue in the face, but until you decide you are committed to the process, it’s not going to fly with your child. When I say “commitment,” I mean your commitment to consistency. This is a new skill you are teaching your child. Humans learn by repetition. I repeat: humans learn by repetition. Even as an adult, have you learned a skill and then not used it consistently and lost it? Of course you have. Pick a skill. I’ve tried to learn knitting for years. I start, and then I don’t do it enough, and I forget. I have to learn all over again every time. It’s ever so slightly easier the next time, but not by much. How about playing a musical instrument? Consistent practice is vital. Very few people make significant progress by playing just once in a while. Think of your job. Skills that are now second nature once took a lot of thought and concentration. After enough repetition, things just sink in. While potty training, you need to be consistent and firm. By firm, I mean “without question,” not aggressive or pushy. I would say firm can be a pretty contentious word in parenting these days. I have so many clients who are afraid of being firm. Being firm and meaning business is good, and it doesn’t have to look mean. Many modern parents are afraid of being an authoritative presence in their homes. Most of the time this is because their parents were over-the-top authoritative (authoritarian), and it left a sour taste in their mouth and/or resulted in years of therapy. Still, there’s a happy medium. Your child needs you to be the authority figure and wants you to be in charge. To have no boundaries is like a free fall through life. So don’t be afraid of being assertive and firm. Again, not mean, not aggressive or pushy. We’ll definitely touch on this throughout the book for clarity. Consistency is how your child learns effortlessly. How many times did you sing the ABC song before your child sang it through by herself? Did you sing it a couple of times every couple of weeks and then expect her to sing it for Grandma? I don’t know about you, but I think I sang that song twenty times an hour, over and over and over. Remember, too, that children love consistency. All children, even adventurous children, love routine. Read it again. Sing it again. Build it again. Things we repeat feel safe to our kids. They know what to expect and are prepared. Spirited children, especially, need and crave routine. What I think people mean when they say this is that they’re not really committed—that it’s not a high priority in their lives right now. Which is fine. Just be honest with yourself. If it’s not a high priority with you, it’s not going to be a high priority for your child either. I spend a great deal of time in my classes on this topic. Often, parents realize that they are afraid to commit because they don’t know what to do and they’re concerned that they might fail. More often, though, parents feel something along the lines of, “Eh . . . we just don’t feel like it’s that important right now,” “We are doing other things,” or “What’s the rush? She’ll do it. I mean, she’s not going to college in diapers, right?” True, your child is most likely not going to college in diapers. But I routinely get clients who’ve had to delay preschool because of a lack of potty training. Last September, two sets of parents came to me after their children were asked to leave kindergarten for not being trained properly. So yeah, it might not be vital right this minute, but it’s going to creep up on you faster than you know. And I’ll be beating this particular horse till it’s good and dead: the longer you wait to potty train, the harder it gets. Another reason behind the “we don’t care” attitude is that something is happening in your life and you know you can’t give potty training the attention it needs. That’s completely understandable if there’s actually going to be a break in the action at some point. I remember a mom emailing me. 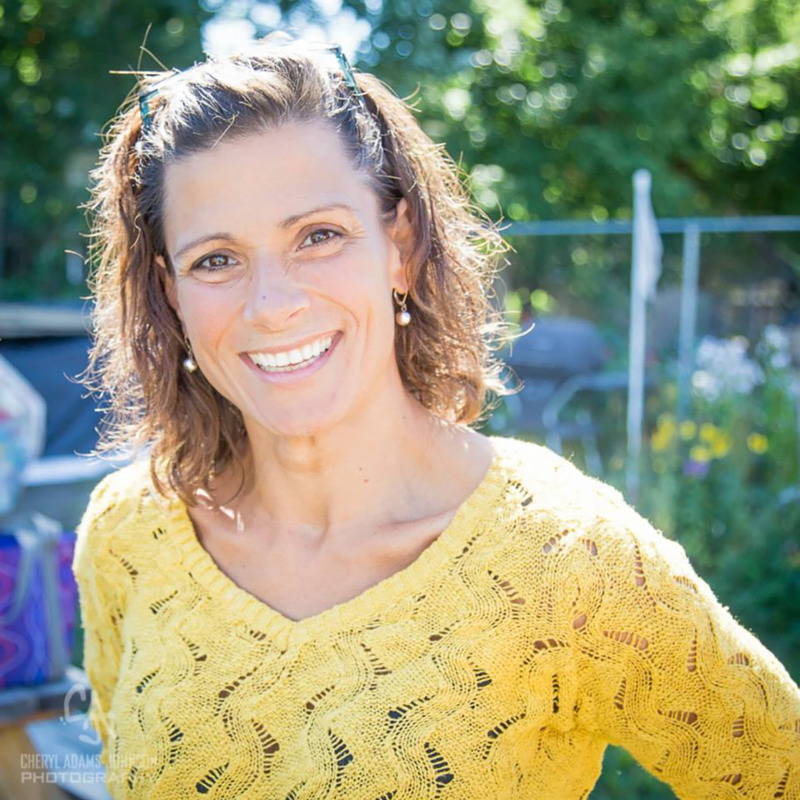 She and her husband were both medical residents, and she was expecting her second child. She felt life was too hectic to potty train. To this, I responded, “It’s not going to be any less hectic for your family for a good long time.” True, if you are moving or traveling, now might not be the best time to potty train. But if your life itself is busy, you are going to have to carve out some time regardless. I won’t lie to you. This process is going to require attention and focus on your part. Potty training is all you will be thinking about for at least a week or so. However, it will be—it should be—effortless on your child’s part. 1. Environment. One year of one child using disposable diapers uses two full grown trees. Do the math, and it’s downright scary. There’s just no reason to prolong diaper use. Even if you use solely cloth—which very few people do—you’re still using valuable resources such as water for cotton processing and diaper washing. 2. Landfill space. It’s estimated that disposable diapers take anywhere from two hundred fifty to five hundred years to decompose. They are accumulating in our landfills at an alarming rate. What’s worse is very few people dispose of the poop in the toilet before throwing away the diaper—did you even know you’re supposed to do that?—so there’s the added problem of raw sewage in our landfills. 3. Your child’s dignity. This is one I’ll repeat over and over. We both know just how smart your child is. Doesn’t he deserve the dignity of not crapping in a diaper and still worse, sitting in it? Really think about that. Think about where your child is developmentally and just how undignified this is. I hear parents talk about giving their child self-esteem. Self-esteem comes from mastering a task, from gaining dignity and self-respect. Potty training is a way you can give this to your child. Oh. Boy. As reasons for delaying potty training go, this is the big one. I’d say this particular rationale is responsible for more potty training drama than any other. If you really follow this thought through, it doesn’t make any sense. First, I’d like to point out some realities of toddlerhood. In what other area of development do you wait until your child is ready? Do you wait until he’s ready to go to bed? (I sincerely hope not. That’s another book entirely.) How about when your toddler decides she’s ready to play with knives? If you have errands to run, do you stay home until your toddler is ready to leave the house? What about if she’s not ready to get in her car seat? Do you drive off anyway? I’m being a bit facetious, of course, but I’m just trying to point out that there are nonnegotiables with our children. We don’t let toddlers decide too much on their own; their brains just aren’t fully formed yet. We are constantly deciding things for them, for their well-being, developmental and emotional growth, and safety. These nonnegotiables exist simply because we, as the more experienced humans, understand some things better than our toddlers do. One of my favorite books in the parenting world is Simplicity Parenting by Kim John Payne. The most fabulous concept I got from his book is that we are, in general, offering our children too many choices. Further, we are expecting them to have the thought processes of an adult. Children don’t have fully developed frontal lobes, which are responsible for judgment. We cannot present them with unlimited choices. If we do, they will not make good long-term choices. To expect them to do so is to rush childhood, which is wild when you think about it. I feel that the idea of “waiting till they are ready” falls into the category of giving the toddler more choices than he can reasonably handle. In my experience, “waiting till they are ready” leads to disasters. You’ve probably heard, unless you live in a cave, that “ready” is around three years. Not so. That’s past ready. Once a child is three, he is well into the process of individualization, which is the process by which he begins to realize he is his own person and has his own free will and can make his own choices. Hmmm. What do you suppose will happen if he decides he doesn’t want to use the potty and that the diaper is working just fine for him? I’ll tell you what will happen: you’ll have a drama-filled disaster. It’s really hard to potty train children over three. They have free will, and they know how to use it. So this notion of “waiting till they’re ready” is somewhat ludicrous. You are going to have to give potty training some attention and focus, whether you tackle it when your child is two, three, four, five, or six years old. Regardless of the child’s age, she is still going to need your attention, help, and guidance. Please don’t wait until she is beyond four—talk about giving her low self-esteem. If you wait that long, you should probably save for therapy, not college. There’s also the question of what, exactly, “ready” means. If you are waiting for a magical day when your child up and decides diapers are no longer for him and just does his business on the toilet, keep dreaming. This child is a fictional character. Okay, not completely fictional, but this child is extremely rare. And no matter what you’ve heard about other parents’ kids, I have to be honest—I think some moms who say their kid just decided on his own one day have sort of fudged the details. I know this is shocking, but some moms are competitive. Also, I think potty training pains are like labor pains: the details get fuzzy over time. I’d say my biggest fight as a potty trainer is this “wait till they are ready” business. The only reason I do fight is for the kids; in my job, I have the dubious luxury of seeing big numbers, and I see where this can lead. Frankly, it can lead to full-blown disasters. It can lead to six-year-olds requesting diapers so they can poop. A friend of mine told me about a parenting forum where a mom was talking about her six-year-old wearing pull-ups to his first sleepover. He was mortified when he got home. He told his mom, “This is your fault.” There you have it. Despite all this, the other moms on the forum were saying things like, “Don’t worry. He’ll do it when he’s ready.” OMG. So maybe some kids will be going to college in diapers. The whole point is this: some kids will never be “ready” on their own. Also, trying to potty train an older child is hard. I also suspect that the muscles used to control holding and releasing pee and poop are developing around two years of age. If you wait beyond three years of age to potty train, it’s as though these muscles have learned to not be able to hold the pee. This is my own theory based upon what I know about muscle development, combined with the large number of incontinence issues I’ve seen in kids over three. In expressing this idea to parents, I often use the example of my son learning to tie his shoes. He never really asked me if he could learn this skill, and Velcro had certainly made my life easier. Still, I know that learning to tie shoes generally happens sometime around kindergarten, and I think it’s a pretty important life skill. I therefore made a concerted effort, once he hit that age, to buy only shoes with laces. I knew if I bought Velcro, I’d cave in to the morning rush. Life will always happen, so if we want to change something, we have to make an effort. I set aside thirty minutes every morning to teach my son to tie his shoes. There was a fair amount of frustration; the worst was on my part for feeling that I was inept or that I was not being a good teacher, despite the fact that I’ve been tying shoes for years. The whole process required a fair amount of patience from us both. Still, after six days of consistently attending to this task, voilà! My son can tie his own shoes. Did he show signs of readiness? No, not really. Rather, I used an outside age marker and my “Spidey Mom Sense” to determine that he was capable. In my experience, many not-yet-potty-trained kids are capable, and may even show outward signs of readiness. But I think in our very busy lives, these subtle signs go undetected. I also think most people think the desire and willingness to sit and go potty on the toilet will increase with time. As in, if he asks to go on the potty once in a while right now, next month he will be asking to go every day. Again, this is just my experience, but I’ve found that if you don’t seize the appropriate window, the kid just moves on and forgets about it. In other words, the interest in using the toilet does not increase exponentially with time—it peaks and goes away. I hear this one a lot, and to some extent, it’s fine. Just know that if you’re really casual about potty training, your child will also be really casual about it. I should clarify that by “casual,” I don’t mean you have a casual demeanor. I mean you have your child pee in the potty once or twice a day, or you sometimes put a diaper on him and sometimes don’t. The problem with this approach is there comes a time when it’s no longer appropriate. Maybe your chosen preschool or kindergarten won’t allow your child attend untrained. Or you were fine with the casual approach for a two- or three-year old, but now your child is four, and you feel like it’s time to get serious. Stay casual too long and you will have missed the window of opportunity; consequently, it becomes infinitely harder to train the child. You’ll be facing nothing but power struggles, and your life will turn into a living hell. I also think “being casual about it” sends a very mixed message. Let’s look at this through toddler eyes. Remember toddlers are sponges; they learn very quickly. Also remember that toddlers are linear thinkers with no concept of time. Let’s say you start with casual potty training. You announce that you are potty training, but what you mean is that you are going to have your child pee when it’s convenient, such as in the morning before getting dressed. Or in the evening before bath. Your child is going to literally learn this: potty training means peeing on the potty sometimes, but not all the time. Your child is going to do a toddler version of “WTF? I’ve got this down. I’m doing what she asked.” In switching approaches, you’ve just added a complicated additional step to the whole process. As a result, you have to reteach the concept of what potty training means. Do you see? I think a lot of parents expect that the child will realize naturally that one day, he’s going to go pee and poop on the toilet, but in reality, that’s a big conceptual leap to expect from a toddler. Why would your child make that assumption when all he’s known since birth is a diaper? The whole casual approach makes me cringe. I’d say a good 80 percent of my current clients are parents who took this approach and now have an older child in diapers. Then they have to call me in. It is not easy to potty train four- and five-year-olds—trust me. I’m not judging at all, but IT’S JUST SO MUCH EASIER WHEN YOU POTTY TRAIN AT THE APPROPRIATE TIME! Heavy on the capitals, I know, but I feel that strongly about this. Most children between eighteen and twenty-four months begin to show an interest in the toilet. Often this has more to do with the toilet itself, the bathroom, and the spinning toilet paper than it does with a bodily function. It’s also an interest in mimicking Mom and Dad. This interest doesn’t necessarily signal any readiness to potty train; I always look for other markers. This brings us the next big issue in potty training. "I'm saving a ton of money not buying diapersnow. It's mainly because I don't actually have a baby, but having thiswonderful book certainly didn't hurt."